In the Burkitt lymphoma cell line Namalwa, the anti-IgM–induced phosphorylation of protein kinase B (PKB/AKT) and ERK were inhibited by PCI-32765 , whereas phosphorylation of the activating LYN/SYK substrate site Y551 of BTK was actually upregulated. 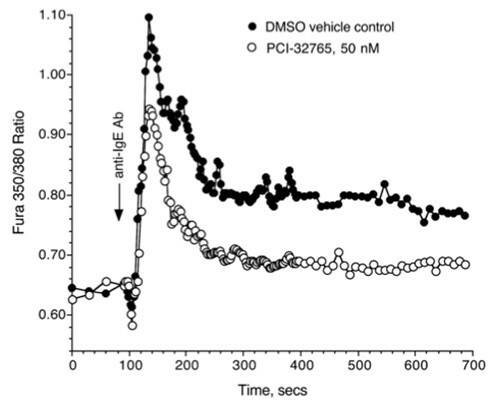 Fura-2 loaded purified basophils were incubated with vehicle control (0.0005% DMSO) or 50 nM PCI-32765 for 10 minutes prior to the addition of 0.5 μg/ml anti-IgE antibody and the cytosolic calcium response monitored. The 350/380 excitation ratio is plotted for the average of two experiments. A wide range of well-characterized bioactive molecules that covers various targets related to angiogenesis, including Btk, integrin and HIF-1 etc. Facilitate your research towards the insights of tumorigenesis, cardiovascular disease and wound repair etc. Applicable in cellular assays, animal models and drug screenings etc. 1. Sakurai T, Kudo M. Signaling pathways governing tumor angiogenesis. Oncology. 2011;81 Suppl 1:24-9. We highlight the regulation of angiogenesis and discuss the potential of molecular targeting as a new therapeutic approach to tumor angiogenesis. Tumor angiogenesis is connected with many signaling pathway. Such as vascular endothelial growth factor (VEGF), fibroblast growth factor etdl, both of them were proangiogenic factors, and those antiangiogenic factors include thrombospondin-1, angiostatin, and endostatin. 2. Sali TM, Pryke KM, Abraham J et al. 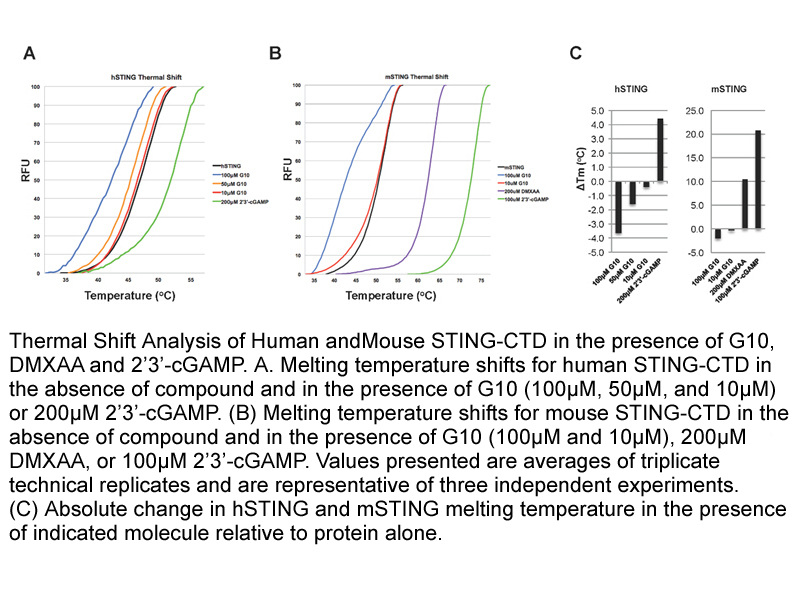 Characterization of a Novel Human-Specific STING Agonist that Elicits Antiviral Activity Against Emerging Alphaviruses. PLoS Pathog. 2015 Dec 8;11(12):e1005324. The chemically unrelated 5,6-dimethylxanthenone-4-acetic acid (DMXAA), a synthetic small molecules, is capable of activating the STING pathway which exhibits other immunotherapeutic effects including anti-angiogenic vascular disruption promoting tumor necrosis. 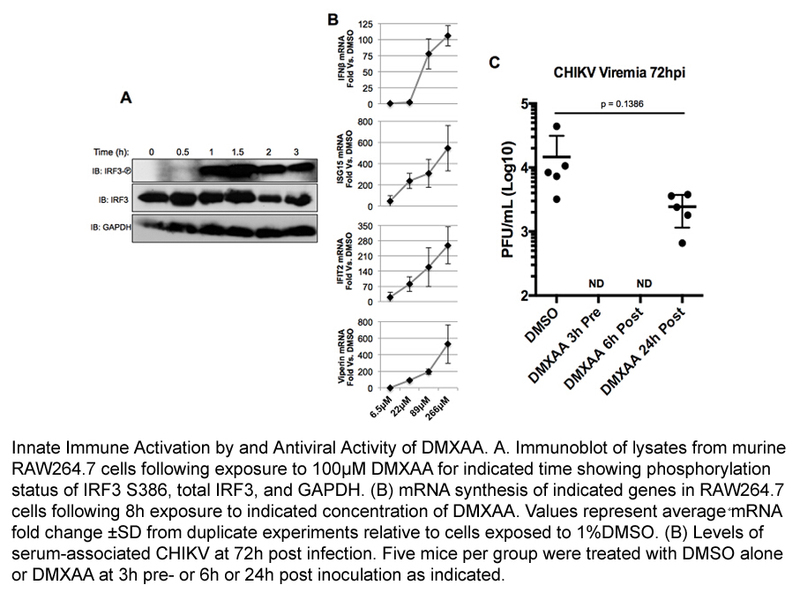 We explored patterns of DMXAA-stimulated innate immune activation in murine cells to evaluate their resemblance with those induced by G10 in human cells. 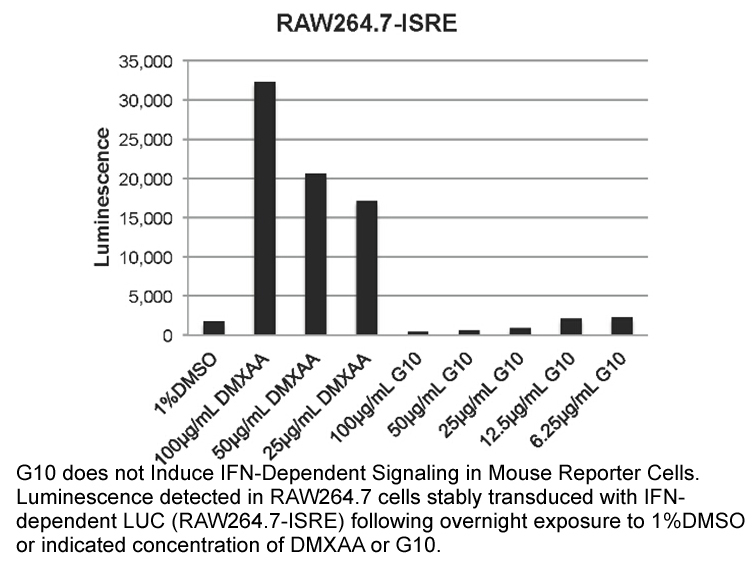 Recults illustrates that DMXAA-induced IRF3 phosphorylation in RAW264.7 macrophage-like cells is detectable by 1h post-treatment. 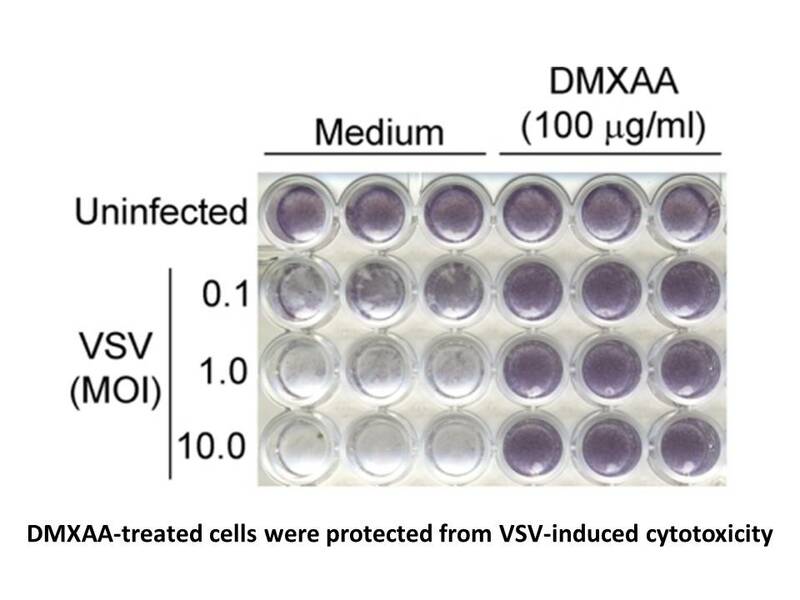 Furthermore, DMXAA also elicits dose-dependent transcription of key innate antiviral genes IFNβ, ISG15, IFIT2, and Viperin in a manner similar to that observed for G10 in human cells.